1. In a large pot, boil water. Add rigatoni and cook until al dente, according to instructions on package. 2. 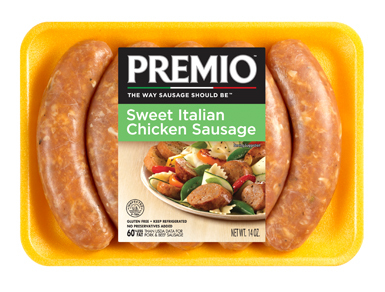 Remove casings from Premio Sausage and crumble. 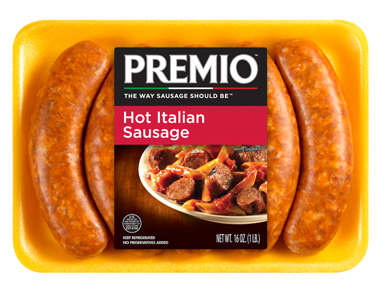 In a large frying pan, brown sausage. 3. Drain pasta and reserve 1 tablespoon of pasta water. Drain sausage and reserve tablespoon of the drippings. 4. 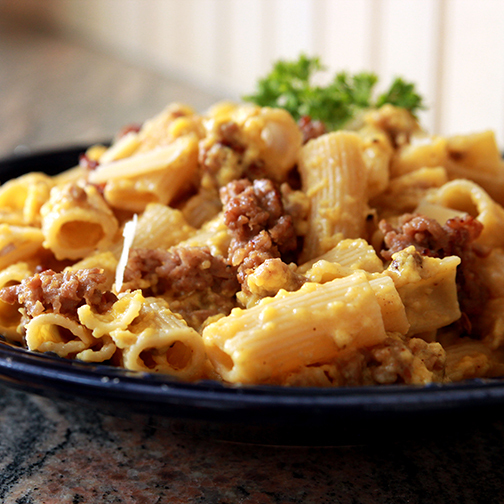 Add cooked sausage to cooked pasta and mix well. Add reserved pasta water and drippings from the sausage. 5. Add eggs and cheese; stir constantly and cook over low heat until eggs are just cooked. Serve immediately and enjoy.